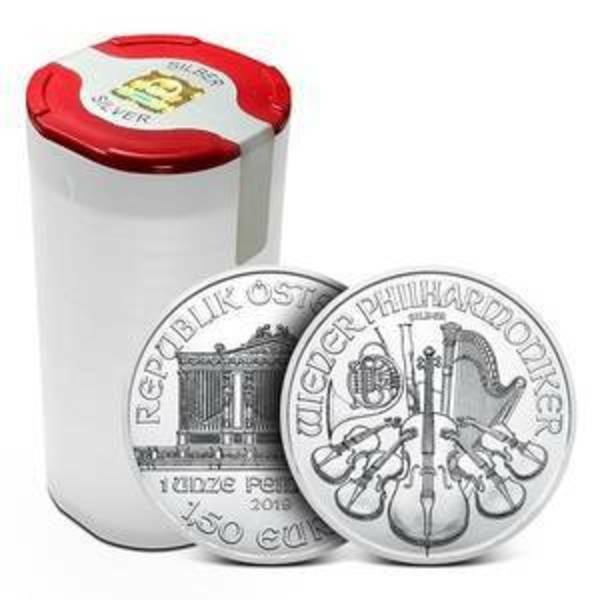 Compare the best online dealer prices before you buy 2019 Austrian Silver Philharmonic Coin (Tube of 20) coins. 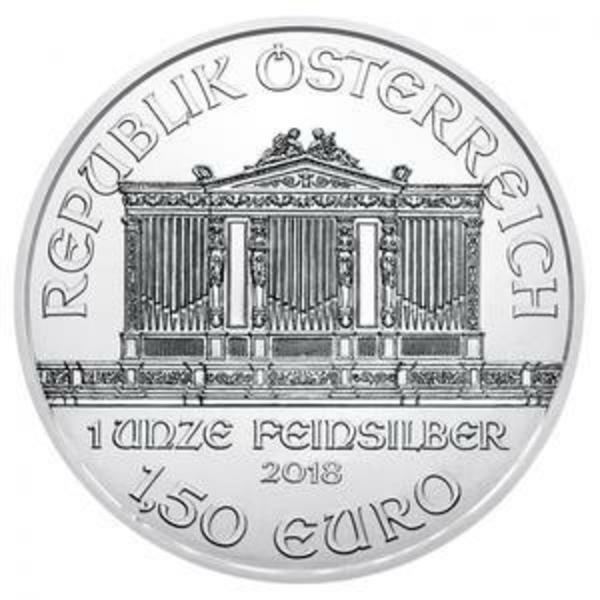 The 2019 Austrian Silver Philharmonic Coin (Tube of 20) coin contains 20 troy ounces of silver bullion. 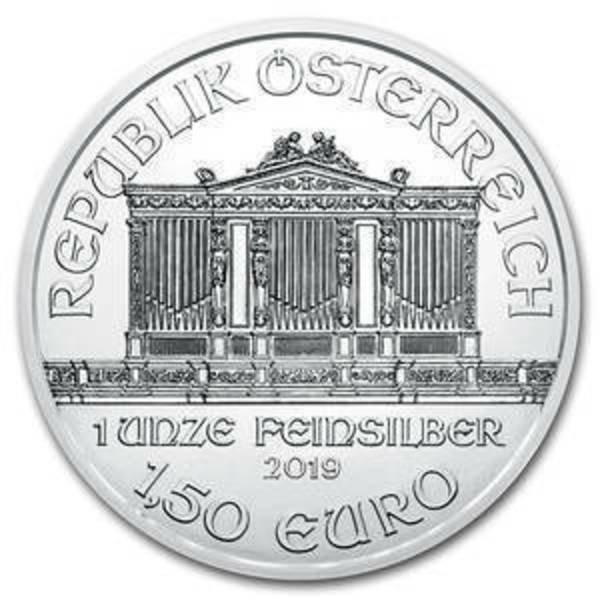 The melt value of one 2019 Austrian Silver Philharmonic Coin (Tube of 20) coin is $301.60 based on the current silver spot price. The average price for 2019 Austrian Silver Philharmonic Coin (Tube of 20) for the past 7 days is $303.71. As a subsidiary of the Austria Central Bank, the Austria Mint's foremost task is to produce all of the circulating euro coinage for Austria. The mint also strikes an impressive range of collector coins and medal, along with producing some of the world's best-selling bullion coins. Among the Austria Mint's popular products are the Gold corona and ducat coins, the Silver Maria Theresa Thaler, and the Gold and Silver Philharmonic bullion coins. 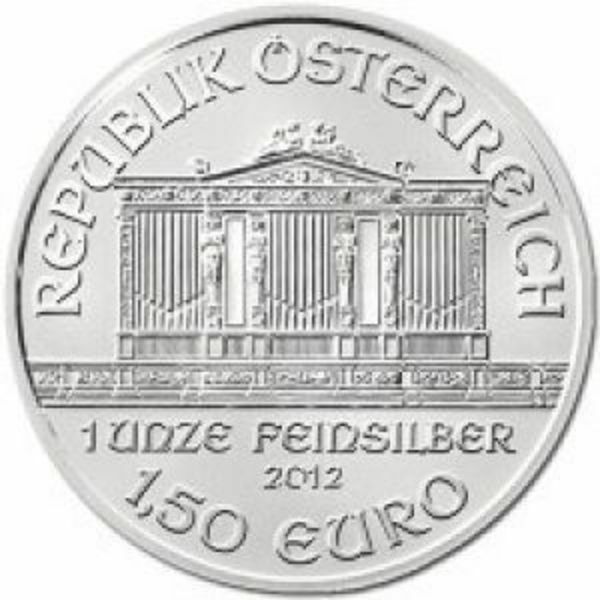 More than 400 million coins are produced at the Austrian Mint each year. 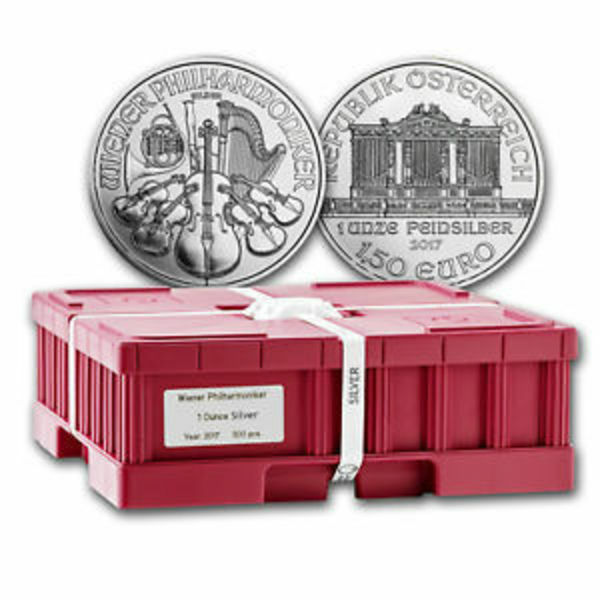 1 oz Austria Silver Philharmonic coins are the official bullion coin of Austria. The reverses of the coin displays an array of instruments including the cello, violin, harp, Vienna horn and bassoon. Instruments indicative of the Vienna Austria Philharmonic that is celebrated by these coins. 2019 Austria Silver 1 oz Philharmonic Coins are available in tubes of 20 coins from most online bullion dealers. Some dealers may offer quantity discounts on 1 oz Silver Philharmonic Coins when you buy 20 or more. FindBullionPrices.com searches over 30 national, reputable and trusted bullion dealers to find the lowest prices on 2019 Austrian Silver Philharmonic Coin (Tube of 20) and other Austria Silver Philharmonics products. The prices on our site for silver bullion and coins are updated hourly and adjusted for silver spot price. We give you the tools to compare silver prices from reputable and trusted bullion dealers. Compare 2019 Austrian Silver Philharmonic Coin (Tube of 20) prices across bullion dealers to pay the lowest price. 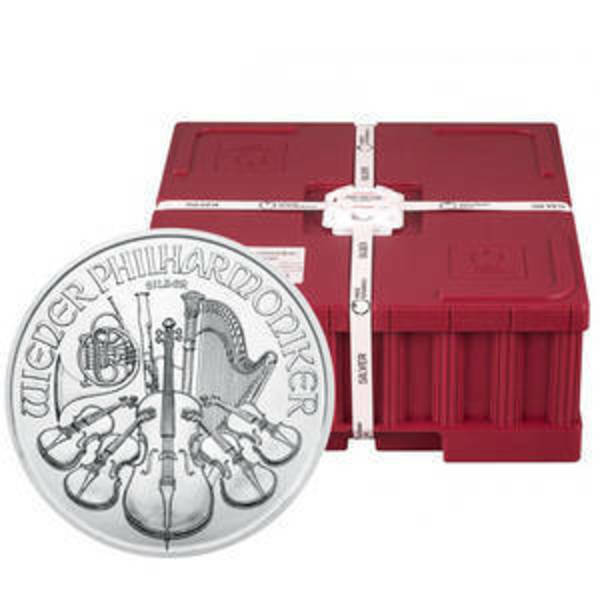 We will help you find the best prices for 2019 Austrian Silver Philharmonic Coin (Tube of 20) when you're ready to buy.